Best reverse osmosis system has always helped to purify the water, keeping its components intact. Look for reverse osmosis system reviews by previous users before investing in one. The nature has always provided the mankind with all the basic necessities and water is most treasured of all. Out of all the water resources of earth 97% is salt water that we cannot utilize at that very condition. With the advancement of science and technology, filtration and purification has reached a new level. Reverse Osmosis (RO) is most recent, cheapest and the best way of purification where we let the water pass through the in-built semi-permeable membrane in apparently high pressure to demineralize it. 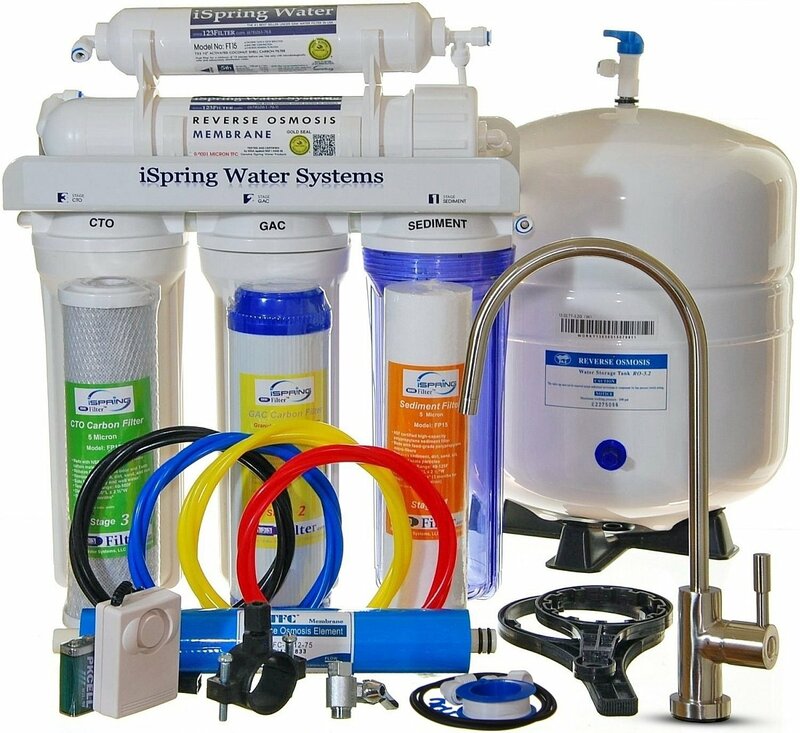 The market is overflowing with alike products and here’s a clear view on the best reverse osmosis system for home. This could possibly be the smartest choice of RO systems. For better health and taste of water one should switch from bottled water to it. Before buying let’s talk about the details. 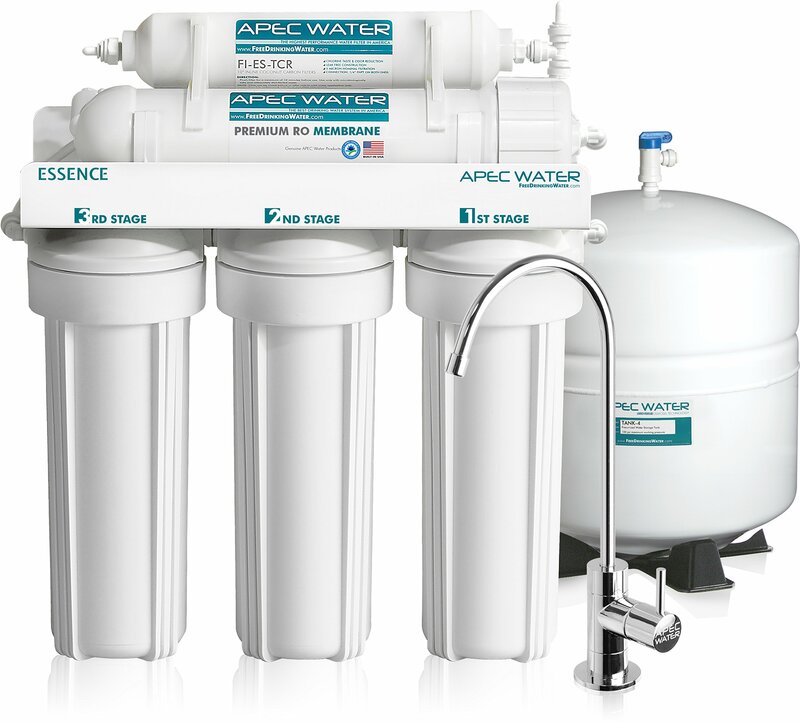 Apec top tier can easily accommodate under the kitchen sink being the perfect size. The dimension is around 16 x 5.2 x 17.5 inches and weighs 26 pounds. The model requires no battery and the filters needs to get changed only once in two years. . It comes with a chrome faucet that is 100% lead-free material. 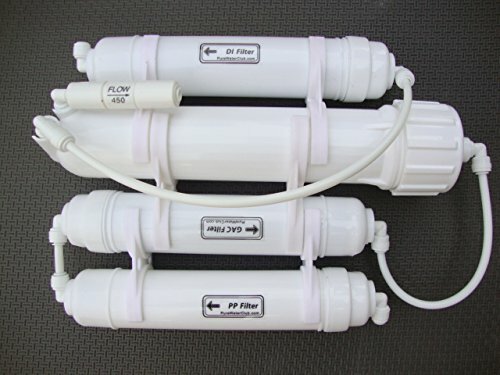 This has 5 stage filtering system that ensures the best possible quality of the water. At the first stage they removes the dust, rust and other alike particles of 10 micron size helping the durability of the membrane. The second and third stage eliminates the unwanted odor, taste, chlorine etc. Fourth stage deals with fluoride, bacteria, lead, radium etc. The fifth stage works on the residual tastes. They happen to treat all kind of water (tap or well water). The installation is easy and the most helpful feature is that the US customer service always ready to help you out at any circumstances. The system is of 25 pounds and has dimension about 15 x 8 x 18 inches. The cartridge set in this system is genuine and the filter is of coconut carbon. The membrane of the system is .0001 micron thin with high durability. It eliminates all the harmful elements like drugs, arsenic along with pesticides. The filter is consist of 5 different units. At stage one it uses the filter of high-capacity polypropylene where stage two uses GAC type carbon filter. The third stage uses same carbon filter of CTO type. The fourth and fifth stages use RO membrane (75 GPD TFC high rejection) and inline polishing carbon respectively. All of these are NSF certified. It saves up to 80% of water wastage when working with a permeate pump. In case of using with refrigerator, a T valve is needed to be installed. You need to change the filter depending on the water it’s working on. Besides, the boosters are optional here. This RO system is one worth buying product and a clear over-view will help you in this process. The complete system weighs around 28 pounds. The dimension is 14 x 16 x 5 inches which will take less place in your kitchen. All the parts are 100% lead free. It avoids all the harmful materials like lead, arsenic and other contaminant. At the first stage the filter is polypropylene melt-blown sediment of 5 micron thickness that eliminates large particles like sand. The second stage is GAC activated filter of carbon that removes chlorine. Third stage is carbon filter of 4 micron that removes other common chemicals. The main component is film RO membrane that rejects the bacteria and contaminants where fifth stage carbon granular filter that works on the taste. All the parts are so used that they can be easily replaced by standard market products. This model comes with extra set of high quality filters for replacement. This is one of the most attractive looking RO system available in the market. The dimension (13.8 x 9.5 x 16.5 inches) makes it easy to fit anywhere even under the sink. It weighs around 28 pounds. The unique circular reservoir and smart valves add extra efficiency to its features. It eliminates Hexavalent & Trivalent Chromium; 2,4-D; Aesthetic Chlorine; Benzene; Pentavalent Arsenic etc. 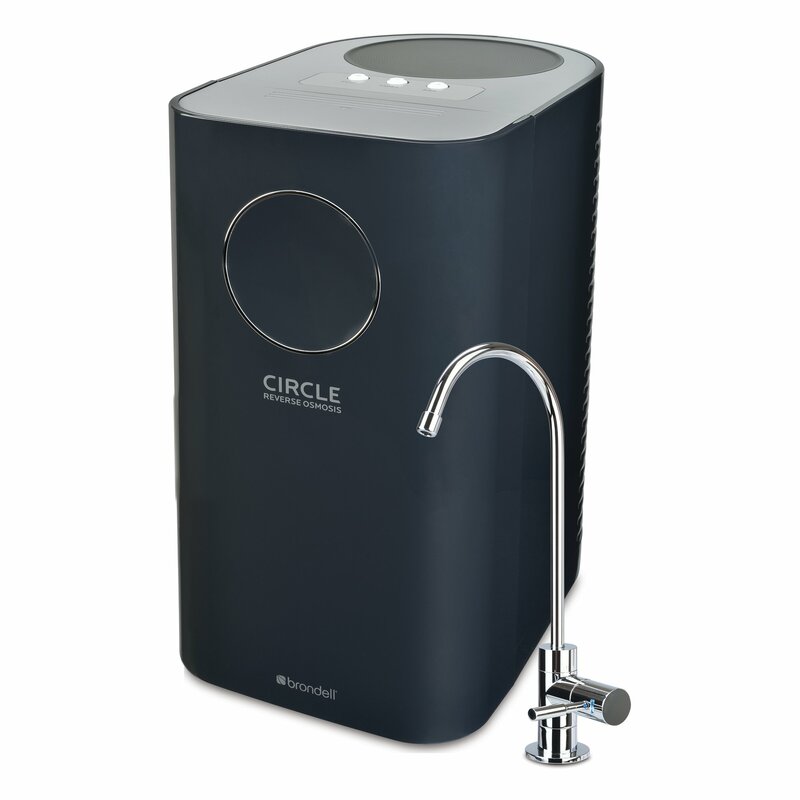 Brondell’s circle RO system uses a filter that increases its efficiency up to 10 times of that of the conventional RO systems. The electricity is not required in this system and the tanks and the filters are integrated together. The water wastage reduces from 24 to 2.4 gallons per gallon drinking water. Moreover the system is twice as fast as the other non-electrical system. The designer faucet will certainly catch an eye where “quick change twist and seal” filter will higher its standard. There is a LED indicator to alert you about the filter condition. This is the best portable RO system available for aquarium, yacht, travel or mobile home. The most convenient feature is its weight that is only 4 pounds. The system needs 65 psi pressure (for best result otherwise it starts at 35 psi) for 50 gallon water purification. It comes with membrane, filter and faucet adaptor for sink it needs no electric power. As it doesn’t need any electricity the pressure is a very important factor here. It will give the aquarium 0ppm water even if the main water source is 300ppm. The filter tend to work for 24-36 months (54000-110000gallons) and the DI filter on the other hand produce 400-500 gallons. For installation they provide a 12ft ¼ inch RO tube. It is a 4 stage filter. The first two stages are required to be changed 6-12 months where the membrane needs to get replaced once in a 12-24 months. Water is something whose importance doesn’t need to be explained. Any unwanted element can get contaminated through water real fast as it is used almost all the time in our daily life, so getting pure and safe water really leads us to healthy life. Reverse osmosis is a very effective way to get that. There are so many benefits of RO systems. The RO purified water eliminates fluoride that causes insomnia. Besides, it frees the water from lead, bacteria, benzene and other harmful elements and prevents many infections. It’s recommended to the cancer patients especially during chemotherapy and radiation. It adds minerals to the water along with purification which is very important for our healthy being. So basically it is a smart choice to move on to RO system. It helps the people, with weaker immune system, to have a better life and it is very effective for the babies as well. While installing the best reverse osmosis system for home it is always wise to keep a right conception of things. 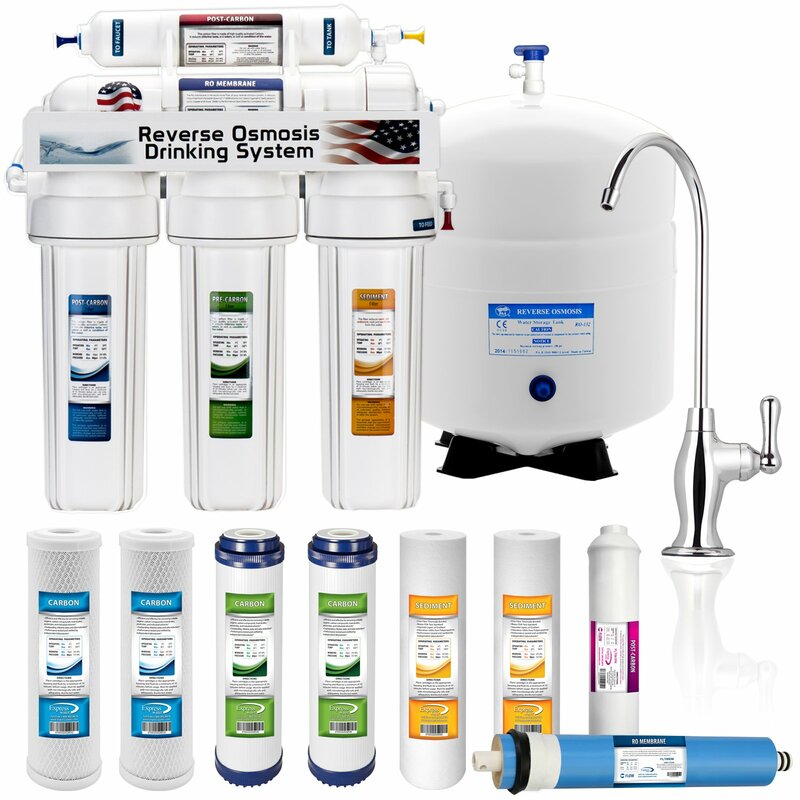 How Important Is a Reverse Osmosis System? What Are the Health Benefits and Risks of Using Reverse Osmosis? Earnings Disclaimer: When you buy certain products from some of the sites which we link to, Reverse Osmosis Go receives a commission. Hi there, I'm David, founder and chief editor at ReverseOsmosisGo.com. Our mission is to provide you with best reverse osmosis system advice and information, that's why I created this blog to share with you. It is a collection of reverse osmosis and our personal tips learned through both years of experience and thorough research. So, welcome aboard! ReverseOsmosisGo.com is a participant in the Amazon Services LLC Associates Program, an affiliate advertising program designed to provide a means for sites to earn advertising fees by advertising and linking to amazon.com, amazon.co.uk, amazon.ca, endless.com, smallparts.com, myhabit.com, and any other website that may be affiliated with Amazon Service LLC Associates Program.